Our patented Interlocking Oilfield Mats offer temporary access roadways for oilfield projects and many other applications. Interlocking oilfield mats, also known as laminated mats, interlocking mats, or board road mats, provide the oil drilling industry an efficient solution to access remote locations and environmentally sensitive areas. Prior to Quality Mat developing and introducing a patented 3-ply laminated mat in the late 1970’s, operators were forced to build up road beds with countless loads of fill material. They faced the expense of aggregate roads or the labor intensive process of laying lumber boards side by side until a suitable surface was created. When you need temporary roadway mats, you’ll find that Quality Mat is ready with a selection of mixed hardwood or oak laminated boards that are great for any jobsite! Whether in need of standard mats for access roads, or a custom ground protection mat solution, we can help. Oilfield mats allow operators to build temporary roadways that can be easily installed and removed after a job has been completed; making these mats great portable roadways. 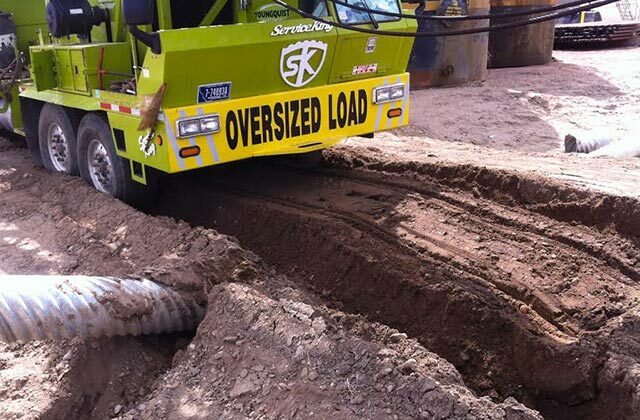 The interlocking feature allows the mats to distribute loads across large networks, reducing the damage to subsoil, and offering a stable, consistent base for vehicles and equipment. To order oilfield mats or get a quote, call (800) 227-8159 or click below. View our video to see how our patented interlocking mats provide a solid work surface that keeps your oil field running safely and profitably in all weather conditions. And remember, Quality Mat Company provides professional mat installation. In fact, our installation teams can install thousands of mats per day! So rest easy, from the manufacturing, shipping, installation and reclamation, QMC has you covered. Some have a negative perception of the oil industry and the biggest concern is the impact on the environment. 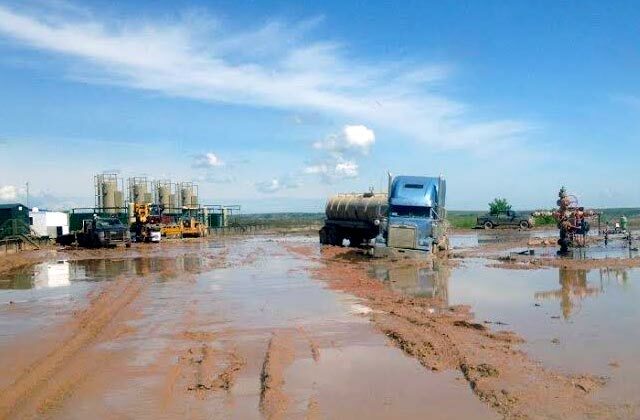 What many people don’t know is the use of temporary road mats and oilfield mats helps protect the environment while providing drilling companies with effective ways to access their job sites. Working in an area with harsh conditions? Many job sites are located on rough terrain, and reaching this terrain with standard work vehicles is difficult. Laminated mats help workers navigate through the rough road rock, swamp, snow, and other locations where a pipeline or oilfield is located with ease. 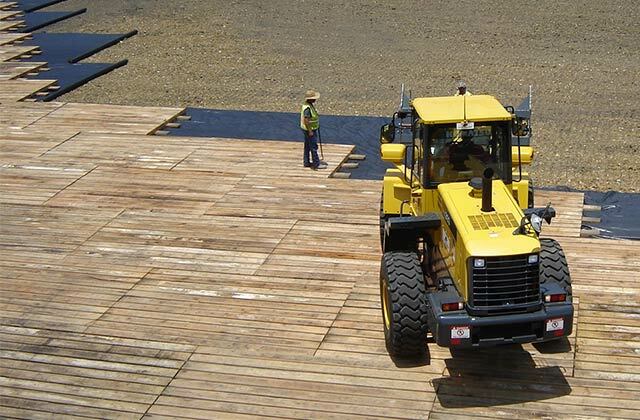 The use of oilfield mats helps create a portable road, which supports heavy machinery on unstable ground. Our oilfield mats not only create portable roads, but also increase safety when used as ground protection, while allowing you to get the job done in almost any condition, offering the availability to work year round! Before the use of portable roads and wood oilfield mats, workers built road beds with loads of fill material, introducing foreign materials into natural habitats which destroyed wildlife and land. 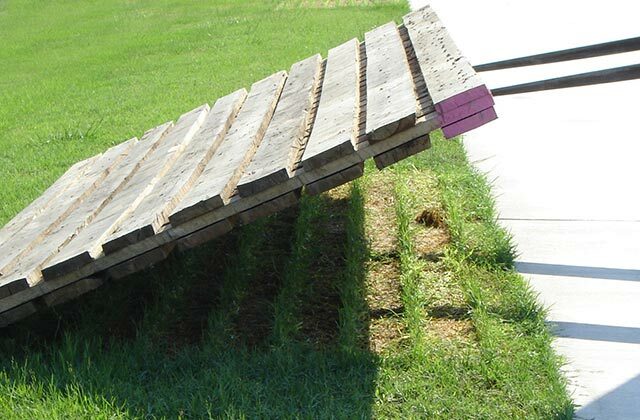 Oilfield mats are designed to allow water to reach grass and ground underneath them, which helps grass sprout quickly after the portable roads are removed, unlike using rock and dirt, which destroys the root system. The use of portable roads has little environmental impact. As more resources are discovered, the risk of negatively impacting the environment increases. 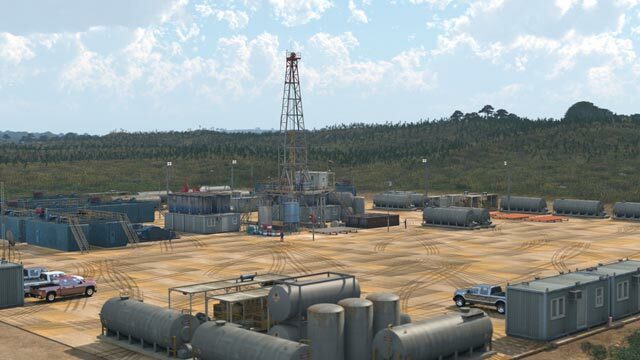 By using oilfield mats, the gas industry can cut down on negative environmental impacts. Save time and get more work done. Using oilfield mats, it only takes a few days to lay down portable roads, as opposed to the months it can take to build a rock road. Our mats have a lifespan of 3 to 5 years on average allowing our portable roads to bee re-used on multiple job sites, which saves you money. Quality Mat Company cares about the environment and making your job easier. Talk to Quality Mat Company about building a safer and more efficient job site!